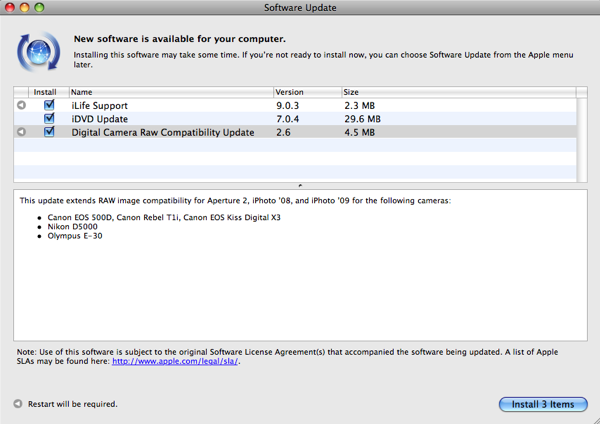 Nice, Apple didn’t take that long after the release of the Canon EOS Digital Rebel T1i / 500D / Kiss X3 and Nikon D5000 to issue a RAW support update for these DSLR cameras on the Mac platform. 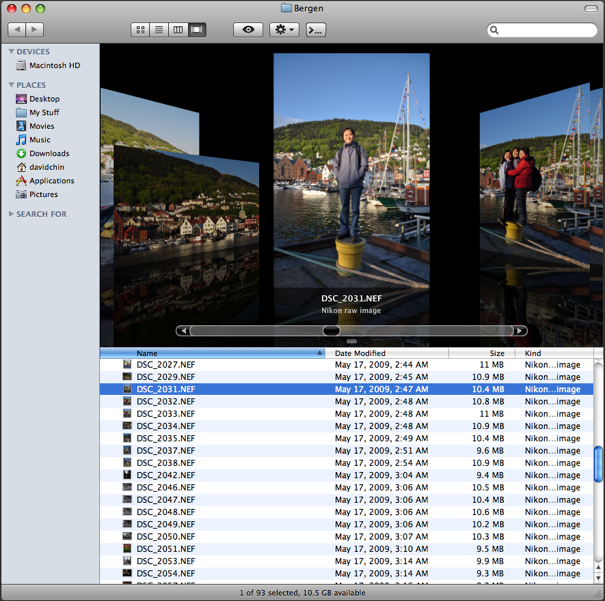 RAW files from the Olympus E-30 is also supported. 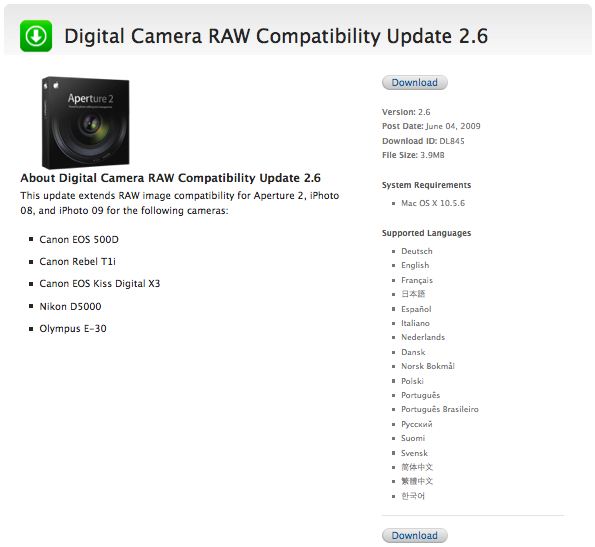 If you’d rather download the Digital Camera RAW Compatibility Update 2.6 from the standalone page, head to support.apple.com. If you’re not using iLife or Aperture for RAW conversion, you might be wondering what the fuss is all about. For me, the main benefit of this RAW update is to be able to quickly see thumbnail previews of my Nikon D5000 RAW / NEF images in the Finder. 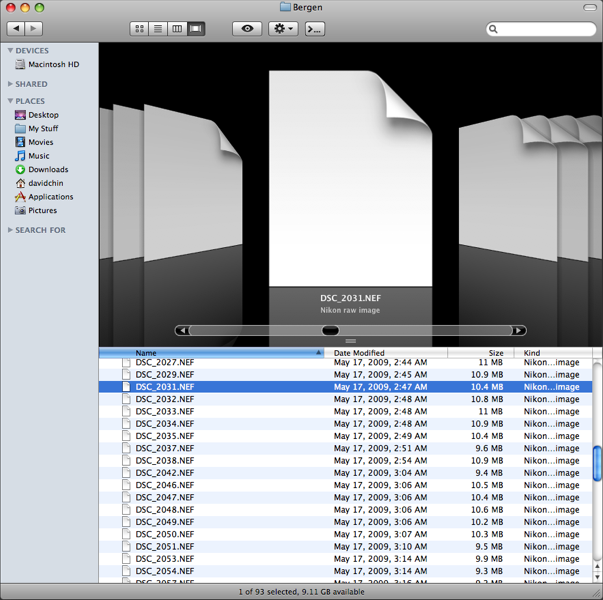 For instance, this is what a folder of D5000 NEF files looked like in Cover Flow before the update. Here’s what it looks like after the update. I now get to quickly see what these RAW images are without having to go into ViewNX. I’m also able to open D5000 RAW files in Preview for quick-and-dirty RAW conversions and simple edits such as cropping, resizing, and playing around with the contrast, brightness, saturation and sharpness sliders. You can then save the file in Photoshop, TIFF, PNG or PDF format. Surprisingly though, the JPEG / JPG option is not available.